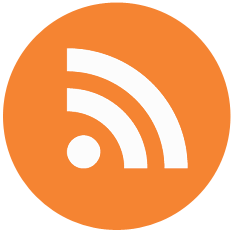 Blogs have become an essential part of business communication. Business blogs are very often the backbone of the content marketing strategy, at least they should be. To streamline the daily work of business bloggers, tools and plugins can help to make your workflows more efficient, increase productivity and boost success. 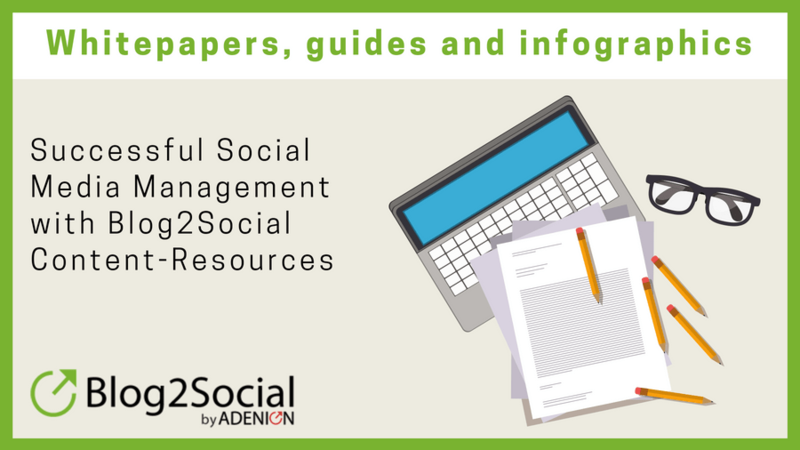 We manage 5 corporate blogs for our company and products: Adenion blog, Blog2Social German blog, Blog2Social English blog, Influma blog and PR-Gateway blog. And we connect our business blogs and websites with as many social media channels to promote our contents and to connect with our customers and communities. We create and publish all of our contents on our blogs: help content, infographics, checklists, tutorials, videos, FAQs – everything can be found on our blogs. Here, we also communicate with our customers and prospects, connect to our social media channels, share our posts on social media and collect valuable feedback. All these tasks take up a lot of time. To streamline our team communication, we constantly generate and exchange new marketing and content ideas and keep track of results and collect feedback on our blog posts and campaigns. With a small team, it is also important that we use our resources efficiently. In order make our daily work easier and our marketing strategies more effective, we have tried out a multitude of tools and plugins over the years. The following tools and plugins for our business blogs have become our most valuable daily helpers. 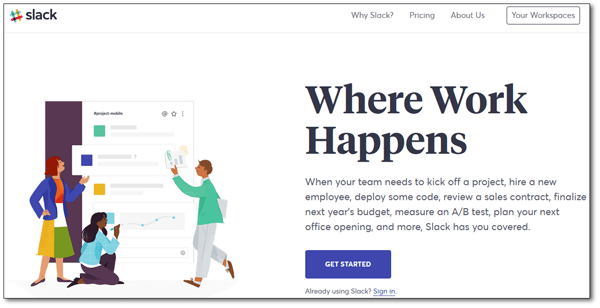 Slack is a messenger app that simplifies communication, giving everyone a shared workspace where conversations are organized and accessible from everywhere and every device. It’s much faster and easier than email. You can integrate other productivity apps to streamline your workflow even more. With slack, we create separate timelines for specific products or topics and share important information on current events and developments, collect content for reading or content curation, or we can chat with specific team members with a direct message. The messaging app “Slack” enables us to communicate in real time, create group chats for specific needs and share images, documents or links. Who does what, when and how? Is the post approved for publishing? What suggestions are there? Trello helps our team stay organized and get more done in less time. Trello lets you organize, prioritize and schedule your projects and campaigns on flexible boards, lists, and cards. You can create a separate board for each of your products and projects. Within these boards, you can create lists and maps in order to make workflow as smooth as possible. The tool enables us to work collaboratively on all projects with our complete team or individual team members. We can attach and share documents, and add comments directly to Trello cards. You can add members and deadlines to the various projects and to individual tasks. Trello automatically reminds you when there’s something new or a question or tasks directly addressed to you. We can organize our entire collaboration processes here. 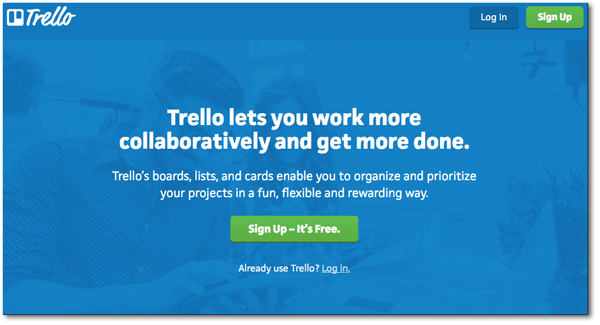 Trello allows you to integrate the apps your team already uses, directly into your workflow. For example, we integrate our Google Drive / OneDrive documents or images from Canva for approval or discussion. You can collaborate with your team from anywhere and from any device. Trello syncs your projects across all of your devices. You can do a lot with the free version, even with your team. To get more options and workflow integration you can upgrade to premium. Drafting and approving blog posts in a team can become a tricky thing. Google Drive, OneDrive or Evernote are excellent tools for drafting and collaborating on posts. 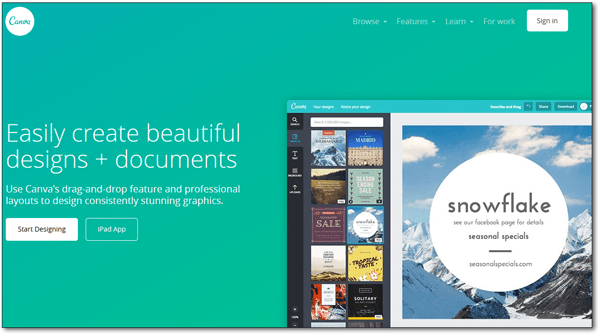 If you are looking for an alternative, try this web-based word processor for drafting and collaborating on documents and presentations with a distraction-free interface. Draft provides all the features you need for sharing and collaborating on documents, like version control, commenting, accepting and declining changes made by others, as well as approving documents for publishing. But Draft can even do more. The tool provides many cool features for making you a better writer by simplifying your writing tasks. To help you simplify your text for a better readability, you can use the Simplify feature and the Hemingway Mode to get suggestions on writing more concisely. You can even let Draft analyze any publicly accessible RSS/Atom feed to report trends in your writing. For example, if your audience prefers short or longer posts, simple or sophisticated writing, specific days or times for publishing. Texts, images or videos can be imported from many popular cloud services such as Dropbox, Evernote, Box or Google Drive. You can publish your approved work directly to WordPress, Tumblr, Ghost, Svbtle, Blogger, Twitter, LinkedIn, Basecamp and even Mailchimp from inside Draft. Extra Tip: If you prefer to draft your posts directly in WordPress try the WordPress plugin Just Writing (free) for a distraction-free writing for creating your blog posts. Never publish a post, before proofreading it. If you do not have a buddy or a professional proofreader in place, Grammarly will save your day. The tool helps us with checking our texts for spelling mistakes and helps us to streamline our grammar. The tool also suggests alternative words and phasing. If you are using WordPress, you can use the browser extension to choose any of the available options to work with Grammarly when you write in the default WordPress editor. You can automatically correct the detected issues with Grammarly. If you use Microsoft Word to draft your posts, you can add Grammarly as an add-on within your Microsoft Word. The Grammarly browser extension also works with the Evernote Web App. You can do quite a lot with the free version to get a basic check on your texts. Extra Tip: Also check the Hemingway App (free) as a free alternative for doing more than just spelling and grammar. The Hemingway App highlights lengthy, complex sentences and common errors in different colors. It calculates readability and shows where your text is too complicated for most readers to follow. It highlights adverbs, passive voice, and dull, complicated words. You can format your text with the toolbar. Using stunning images in your blog posts can have a huge impact on the performance of your content. Visual content is 40 times more likely to be shared. 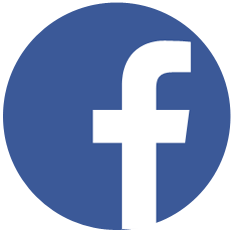 Posts with images encourage 3.2 times more engagement such as likes, comments, and clicks for posts on social media. As we don’t have a professional designer on our team, we use Canva to help us with the task. Canva makes it easy to create images, infographics and share pics for our blog and social media posts. Canva offers a huge variety of templates, layouts, photos and icons you can use to create professional looking images and infographics. We also use Pictochart and Easi.ly, but most of our creative work is done with Canva. Extra Tips: For stock photos, we use Pixabay, Prexels or Unsplash as well as Freepik.com to look for stunning vector graphics. You can upload any photo or graphic from stock photo collections or any other graphics to embed them in your Canva design. For creating motion graphics we also use Canva but also check out Giphy, GIFMaker.me or Flipagram to create motion Gifs and memes. Videos generate more clicks than any other content on the web. 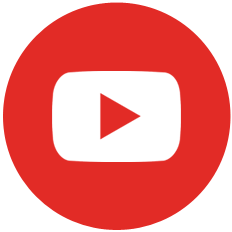 By publishing videos on YouTube and other social channels, videos also help to improve search rank and visibility. And it will drive additional traffic from video search and social media. Moovly provides graphics, objects, backgrounds, and sounds we can use to create appealing videos. Depending on the version you have purchased, you can use your content for personal and commercial purposes. Extra Tip: For easily creating screencasts, check out iSpring Free Cam (free) for creating professional looking screencasts, or opt for Camtasia (starting from US$ 249 per single license), if you want to go pro. Content relevancy has become a key factor in search rank and visibility. Content relevancy shows in content quality, semantic context, and keywords. To check whether our blog posts meet the basic factors of search engine optimization, Yoast is still the best tool to help us with this task. And, you don’t have to be an SEO professional to understand and work with this tool. Even if you don’t know much about SEO, Yoast SEO can help you to take care of some very basic aspects. It will help you to define your focus keyword, permalinks, meta title and description, images, meta tags, text structure, and readability. The plugin analyzes your pages and posts. Yoast will display a traffic light scale which shows which parts of your posts are fine and which we should optimize before publishing. So you can make sure, each post applies to basic SEO rules. The plugin will also add XML sitemaps and breadcrumbs. Social media are the most important sources for promoting our content and driving traffic to our blog or website. However, if you publish regularly – as we do – and you have multiple social accounts for sharing, scheduling, and re-sharing posts, this can become tiresome and time-consuming work. Social media automation can help. Blog2Social is a very powerful tool to automatically schedule, share and cross-promote your blog posts on all popular social media channels, directly from the WordPress dashboard. 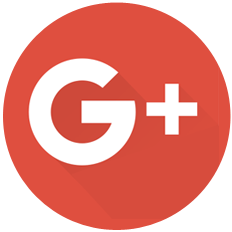 The plugin auto-posts on Twitter, Facebook (profiles, pages, groups), Google+ (profiles, pages, groups), LinkedIn (profiles, pages), XING (profiles, pages, groups), Instagram, Flickr, and Pinterest, Diigo, Reddit, and VK. And you can automatically re-publish blog posts on Tumblr, Medium, Torial, and Bloglovin’. The plugin automatically turns all post into an adapted format for each network and includes blog post tags as hashtags. You can auto-post per default or preview and customize your posts with personal comments, images or post formats. We always use the customizing option to tailor our posts with a more human touch for each community. This takes a little longer, but no longer than 5 minutes for all of our social networks. You can auto-schedule your posts with the best time manager or use your own settings for scheduling each post on each network. You can also re-post old post and pre-schedule your scheduled post for auto-posting. A social media calendar helps to keep track of all scheduled posts and allows you to easily edit, change or re-schedule your posts per drag & drop. This plugin really saves a lot of time and work, since we run quite a couple of social networks for each of our blogs. 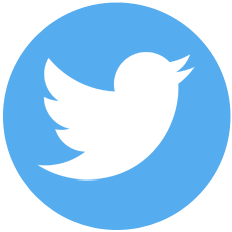 Blog2Social is free to use it for sharing your posts on social media but you might also find it worth to try the premium version for the more elaborate features for customizing and scheduling. Blogging for business is not only about publishing content, but also about generating leads and converting them into customers. The best way to turn readers into leads is to grab their email address. Icegram has many great features for opt-in / list-building / email subscriptions forms. The plugin helps us to easily create opt-in forms and popups, welcome bars, and other opt-ins to generate leads and subscribers. You can create high converting email opt-in forms in multiple designs to build your subscriber list. By adding call-to-action (CTA) buttons you can increase the click-through-rate (CTR) and drive visitors to any page you like. You can show forms to targeted visitors. The plugin also integrates with standard email marketing services such as MailChimp, Constant Contact, AWeber, Campaign Monitor, GetResponse, InfusionSoft and all others. You can analyze and track your results. You can use all basic features for free. The premium version provides even more features for advanced email marketing campaigns such as split testing, geo-targeting or more fancy styles and designs. Extra Tip: We also work with the Icegram Email Subscribers and Newsletters plugin for creating blog subscribers and the Icegram Rainmaker plugin for creating forms. Check them out. To track our results, we basically use Google Analytics for tracking and reporting our blog traffic. You can review post performance by tracking landing page quality and conversions (goals). With Google Analytics you can identify good and poorly performing posts by funnel visualization. You can see where visitors came from, how long they stayed on the site and how many pages they browsed. It also provides more advanced features, including custom visitor segmentation. There are thousands of tools and plugins that promise to help you with your daily work, but not all tools work for you. We hope this list helps you to pick out some proven tools for your daily work. If you work with WordPress, you might also like to take a look at our collection of 7 very best social media plugins and 25 best marketing plugins. And now it’s up to you. Let us know which tools work for you? Most of listed plugin I already use on my website ?? I would like to suggest you one WordPress plugin for blogs which is Blog Designer – WordPress Plugin. This plugin allows you to modify your blog layout and design. It has features such as Multiple Post Category Selection, Multilingual Translation Ready, Show/Hide Feature, Fully Responsive, etc. We are happy to hear that you like our tool and plugin list. Thank you for suggesting another interesting tool. We will take a look at it. 1. What is the number of plugins every blogger shouldn’t exceed? I currently have about 18 installed, would you consider that number outrageous. Please could you also check out my site and offer me your advice? We´re happy to hear that you like this article and the information provided to you! Concerning the number of plugins for a blog one can’t simply say what the best number is. This primarily depends on the strategy behind your blog and the goals you want to achieve with it. On this blogs you will find everything around WordPress and blogging. Thanks for sharing the tips on social media marketing. These are very useful. Thank you so much for your comment! Great to hear you like our article and the tips we provide. Thanks a ton sharing the tips related to SMM. These are very useful. Will keep sharing. You are welcome ! Its always great to hear we can help people with the information we provide. Thank you very much for your awesome feedback 🙂 . It’s great to hear that you find the post useful.